Want to organize your meals, without the complicated systems? 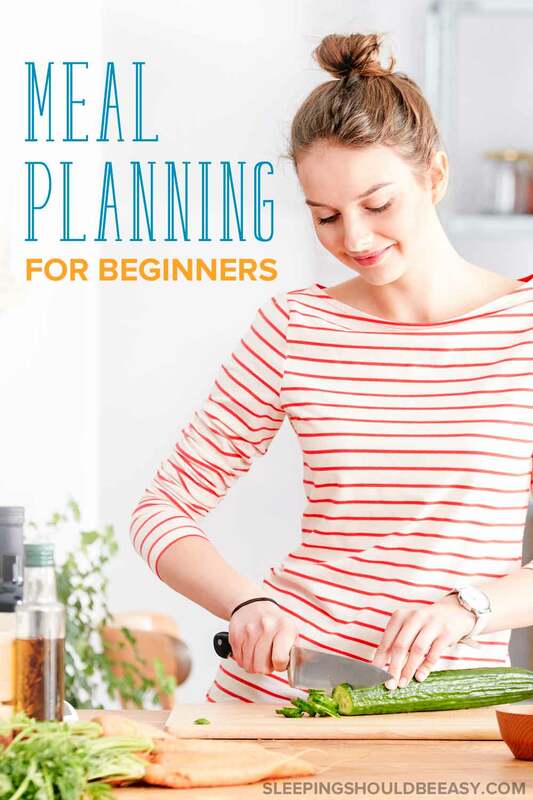 Take a look at a simple method of meal planning for beginners, perfect for the busy mom. If you’re like me, the thought of scrambling for dinner at 4:30pm with whatever is in the pantry seems crazy. This is why I rely on meal planning. 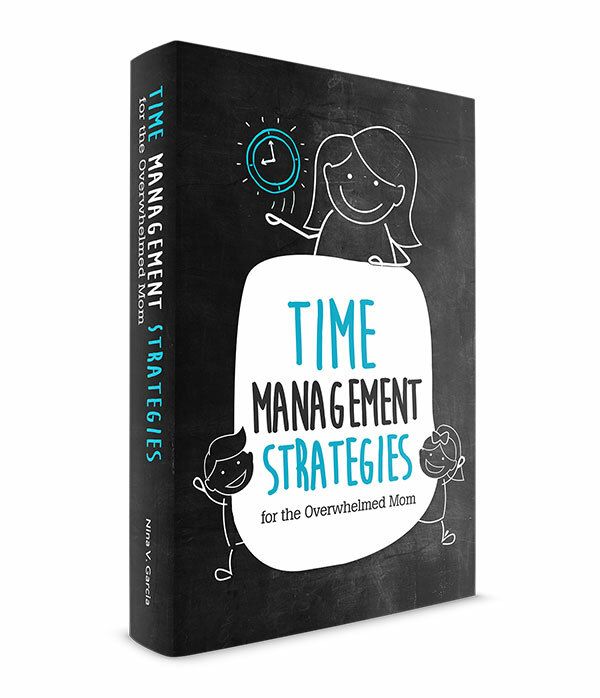 Except unlike complicated methods, this one is simple. With meal planning, you won’t stress about what to cook every night. You’ll save time from not having to run to the grocery several times a week. And you won’t waste money buying items you don’t even need. But don’t worry: This isn’t complicated. This is for the mom who just needs good ol’ paper and pen to jot down the ingredients for the week. The mom who may not always have time on her hands but is tired of serving the same things every night. The mom who groans when she finds expired food in the back of the pantry that she purchased and forgot about. So, are you ready to get in the habit of planning your meals? Let’s get to it. How many days a week do you want to cook? Every family is different: Some of us have more members to feed. Others have just had a baby and can’t fathom the thought of making a home-cooked meal. Decide on a good number of days to cook per week that works for your family. When I had a family of three (my husband, son and me), I planned and shopped for five days of the week. With leftovers and the occasional restaurant meal, five days was enough to hold us over. When the twins were born, those five days shrank to zero. Gradually, I crept back into the kitchen—cooking once a day, then twice. Until now, where I plan, shop and cook for all seven days of the week. We are definitely a growing family! Action step: How many days of the week do you want to cook? Let’s say you decide to start cooking four days a week—now you’ll need to find four recipes. Recipes are everywhere—online, on the backs of packages, in cookbooks. I usually find my meals on Simply Recipes, a long-time blog whose yummy food has made me a fan over the years, and Budget Bytes, perfect for preparing budget-friendly meals. 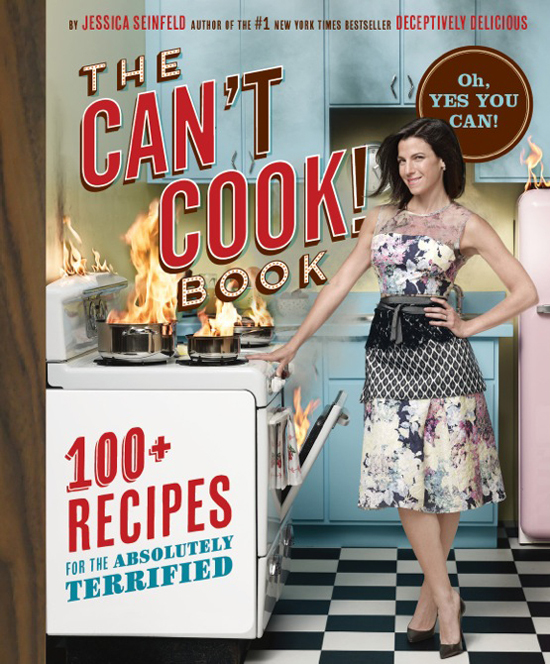 I’ve also been getting into cookbooks and am digging Jessica Seinfeld’s Can’t Cook Book. Action step: Find recipe websites and cookbooks you can turn to regularly, or collect recipes from packages you’d like to try. While you’re looking for recipes, take note of the meals you’re collecting. You’ll want to vary your meals so you don’t have too many of the same ingredients or types of meals in the same week. For instance, avoid three stir-fry dishes or four pasta meals (unless, of course, you prefer it). Theme nights can also help organize your meals. You can have Pizza Fridays or soup on Tuesdays. Organizing your days by meals makes planning easier because you don’t have to think about what type of meal to prepare. And if you’re expecting leftovers, you can also include them in your week. You might prepare a chili you know will provide enough dinner for two evenings. Action step: Gather your recipes for the week, making sure you have enough variety. Optional: Designate a meal type per night (“Pizza Fridays” or “Tuesday Soup”). The first is a list of your weekly recipes. This is where you’ll write your four—or however many—recipes for the week. Write the recipe sources on the list in case you forget where you even found them (I learned this from experience!). The second is your shopping list. Jot down what you’ll need to buy. How you make your list is up to you. I’ve seen some where people write the ingredients based on where the items are located in the grocery. Some, like me, make lists depending on where they shop. For instance, I have one list for the farmers market and another for the grocery. Don’t forget to include other items you might need that aren’t ingredients for the recipes: bread, milk, formula, jam, fruits, snacks. Action step: Write your recipes and their ingredients on a shopping list. Part of meal planning is setting aside a regular time to shop for ingredients, for instance, Saturday mornings for grocery shopping. I’ve heard of others who bulk shop once a month, to every two weeks, to every few days. I actually shop on two different days. On Sunday mornings, I head to our local farmers market to buy what I can there first. Then on Monday mornings, I shop at the grocery to buy the rest. I used to go to the grocery on Sundays too, but now I prefer going on a weekday when it’s less crowded. Now that you have a list, you’ll bypass impulse purchases and won’t forget to buy a key ingredient. You also won’t have to create recipes on the fly based on what you find along the aisles. Action step: Decide how often you’ll shop, then buy your ingredients. Tip: Cook meals with the most perishable ingredients first. If you can, start with the recipe with the most perishable ingredients. This might not always work, especially if you have themed nights or need to pack leftovers conducive for lunch the next day. But if you have the option, start with ingredients that are best eaten sooner than later. You might prioritize meals that use seafood and fresh tomatoes, since seafood doesn’t freeze well and tomatoes lose their flavor in the refrigerator. Than, save meals with ingredients like pasta, canned food and grains for later in the week. Action plan: Cook meals with the most perishable ingredients first. You’re busy. The last thing you need is yet another run to the grocery store to pick up a forgotten ingredient, or to bundle the kids up in the car to eat at a restaurant yet again. 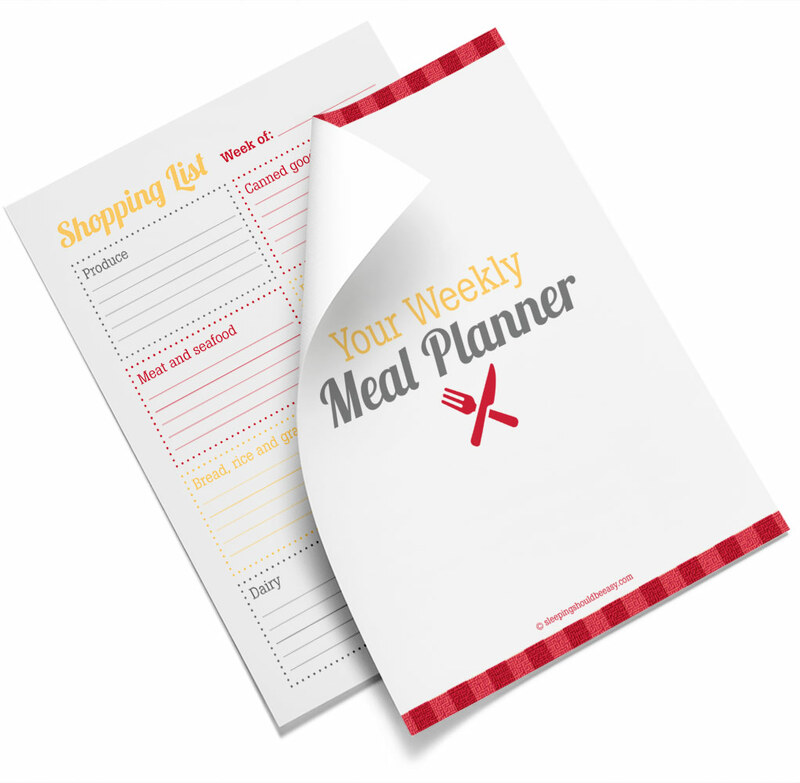 Meal planning eliminates those hassles and even saves you time and money. Feeling overwhelmed? Start with a day or two. Find those recipes and post them near the kitchen. Write that list. Find your rhythm. And get cooking! You’ll soon enjoy delicious, hassle-free dinners—no 4:30pm scrambling necessary. Tell me in the comments: What are your top tips on meal planning? This post is filled with great suggestions. The theme-night idea really works for us. For example, we almost always have Breakfast for Dinner once a week. Sometimes this means breakfast burritos, other times it means pancakes and turkey sausage. We switch it up so it doesn’t get boring, and it’s easy to make my grocery list when I have my dinners already labeled or categorized like this. Ooh that’s a good theme Katie! That’ll be perfect for when I find a really good breakfast recipe but don’t always feel inclined to cook at six in the morning. Yup- I’m that paper & pen mom. This is the exact thing I do when planning the meals for the week. Doesn’t always pan out the way I intend, but it does save loads of time and frustration when the words “what’s for dinner” begins sounding in your head. Gotta love that paper and pen. I literally just have this rinky-dink notebook I take around and make seven spaces to write down what I’m going to cook. Super simple. Our meal planning skills are abysmal. Just..terrible. Des gets hungry so early – around 5:00. Scarlet gets hungry around 6:00..and so do I. Cassidy doesn’t even come home until 7:00 or 8:00 so the kids are already on their way to bed. We all eat so differently and there is just nothing all four of us will eat right now. Not to mention, I don’t cook. Although somehow it does work. I’d love the idea of planning just one or two nights to start. When both kids were babies around six months old, we really did meal plan and cook ahead the homemade baby purees (yes, we’re those kinds of people) on Sunday nights and then I’d have them readily available all week. No shame Tamara—if your system works, it works! And we did a ton of baby pureeing too. We’re just now gradually phasing it out and I don’t have to whip my blender out every single day. Meal planning is an area where I could definitely do better. I understand the theory, but there is a lot I could do in terms of putting theory into practice! Thank you, Betsy! Glad it helped. Haha, thanks Kathy (check out her recent post to get in on the inside joke)! Hi Nicky! Thanks for featuring my post—much appreciated. And yes, doesn’t meal planning do so much for our sanity and our budgets? It’s so easy to let the items pile up, or buy items last minute, but with a list and a plan, it’s easier to stick to a budget. Sometimes we just need to realize that if we want to cook healthy, good meals, we need to be planning. Just embracing that reality can be a first step. Makes us appreciate our mothers/caregivers who spent time doing this on our behalf, right? I love this post! Yup, we need to plan for healthy meals. No way around it. Thanks so much Seana! Meal planning saves so much time in the long run, as well as eliminating that “what should I make tonight” weight that shows up every day. If you know you have some meals – and the corresponding ingredients – on hand and ready to go, evenings are just easier. I always say to know wha you will be making for dinner tomorrow before you go to bed! Exactly Seana. I’d be so lost without a meal planning because I don’t know what I’d cook for the night. And we’re totally the same—I always have to decide what is on the menu for the next night! Angela, soup is the best! Now that it’s chilly, I’ll be adding it to my meal planning. And yea, start with just two and either work your way up to more or maybe keep it as is. Wanted buy your bundle too, but PayPal does not operate in my country. So I couldn’t pay. Is there any other payment method possible?